Older mothers worry that their age will adversely affect their pregnancy and younger mothers feel that they are too immature to handle the demands of mother hood. 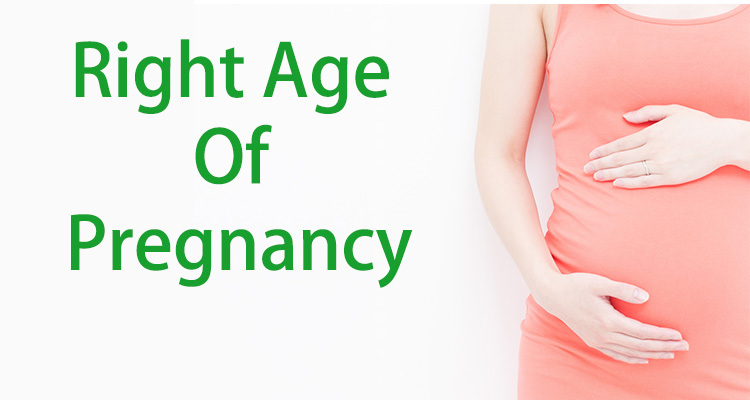 This pops up the question whether there is a recommended right age for pregnancy. According to a new study 29 years-old is officially the right age for getting pregnant and trying for a baby. It reveals that the number of women giving birth at 40+ has trebled in the last 20 years. Almost 27,000 babies were born to mothers over 40 last year. Recent studies indicate that there has been a steady increase in the percentage of women who deliver their first child after they cross forty. This statistics reveals that there has occurred a huge swing in favor of delayed mother hood. However, being beyond thirty five raises many important concerns in the minds of pregnant women. It is at this stage that they often tend to worry whether their decision to start a family late has been a right one, after all. It is true that there occurs a gradual decrease in their fertility chance as they cross the age of thirty. It might take you a bit longer to conceive, when compared to a woman who is in her twenties. Sub-fertility is a likely problem that you will have to encounter. Studies indicate that about twenty per cent of women between the age group of thirty five and thirty nine are infertile. So, a greater number of pregnant women who have crossed their thirty five year mark are likely to have undergone fertility treatments. It is important to ensure that women who become pregnant in their late thirties remain well nourished through out the pregnancy months. An unfortunate fact is that being older makes you more prone to ailments such as diabetes, blood pressure fluctuations and some other chronic diseases that can affect your delivery. Some of the effects of age on childbirth include complications such as gestational diabetes, low lying placenta and premature birth. Even a healthily pregnant woman who is in her advanced thirties is likely to undergo a series of antenatal tests and more ultrasound scans than a younger mother. A different assessment of the long-term health of older mothers presents a slight complication, at least for women who want to have more than one child. While having a first baby at age 34 might be fine, this other study suggests, what’s even more fine is to have a last baby before age 35. However, psychologically an older mother is much ahead than her younger counterparts. Mature women are likely to have more positive perceptions of their bodies. They are found to tolerate the trauma of pregnancy and labor in a more mature manner.